Menopause. The word tends to bring up thoughts of symptoms associated with it: hot and cold flashes, frayed nerves, mood swings, sleeplessness, and low energy. Our Menopause formula is made to help ease the transition. The first herb used is Black Cohosh, well known for being a natural source of estrogen. 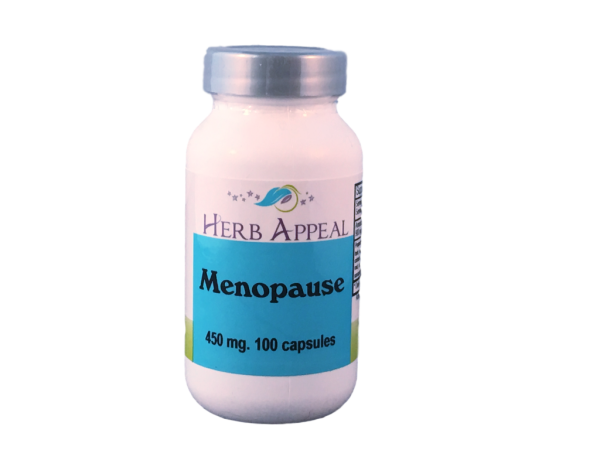 It has been shown to have mildly sedative and anti-inflammatory properties, helping to ease hot flashes and other menopausal sypmtoms. Lady's Mantle is the next herb, known to help ease heavy bleeding and menstrual pain. Menopause is an excellent formula for menopausal symptoms, as well as other menstrual problems.